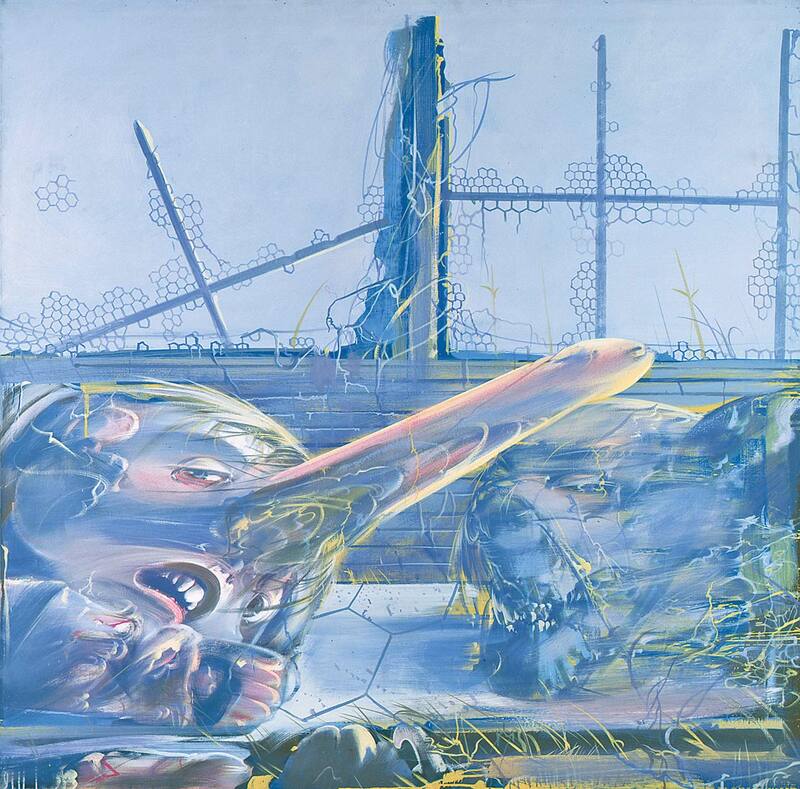 Dado, Boukoko Triptych, 1975, oil on canvas, 162 × 162 cm. First panel. Jeanne Bucher Galerie.